So you're headed to Las Vegas for a work conference, a bachelorette party, a destination wedding or a killer vacation. Lucky you! As a recent Vegas returnee, I'm here to tell you that you don't have to limit your activities to gambling and drunken debauchery. 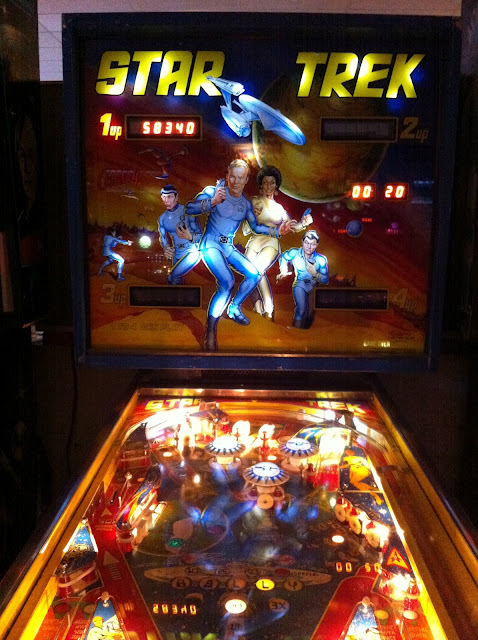 Actually, there's plenty of nerd-friendly fun to be had, both on the Strip and off. This may be the dorkiest photo I've ever taken of my husband. Please don't tell him it's up here, OK? Affiliated with the Smithsonian Institution, the National Atomic Testing Museum is small but mighty — rather like atomic energy itself. It takes visitors through the history, science and technology of the country's atomic testing programs. At the museum, you can experience a simulated atmospheric bomb blast, from the light flash to the shock wave, and you can see a collection of historic radiation detectors and pop culture artifacts from the "duck and cover" nuclear era. The coolest (and creepiest) display were the before and after photos of mannequins – dressed in clothing donated by JC Penny's — that were positioned in homes and cars in the bombing test sites. Worse than the dummies that were sheared off at the waist or missing limbs after a test bomb drop? The dummies that weren't found after the bomb drop at all. The museum recently added a new exhibit called Area 51: Myth or Reality? It starts you off with aliens but quickly morphs into experimental aircraft. Still, true X-Files fans won't be able to resist. The museum is just off the Strip and is accessible by a brisk walk or a local bus. See the website for more information. 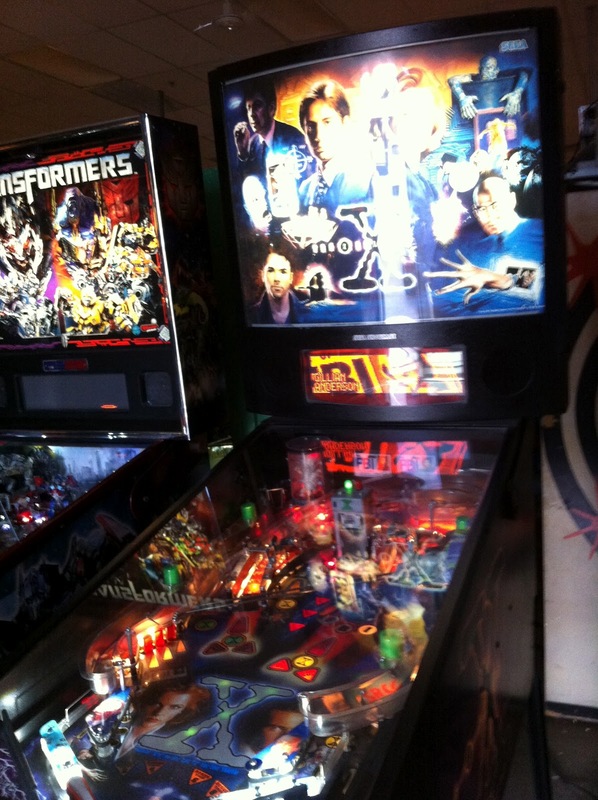 Speaking of The X-Files, the TV show is one of many nerdy entertainment properties immortalized in the Pinball Hall of Fame. The Hall of Fame is a vast warehouse that boasts more than 200 pinball machines that span the decades, from the retro-chic of the 1950s and '60s to the groovy '70s, the nostalgic (for me, anyway) '80s and '90s, and into today. The Hall of Fame also houses a number of video game consoles, as well. There are two amazing things about this place. 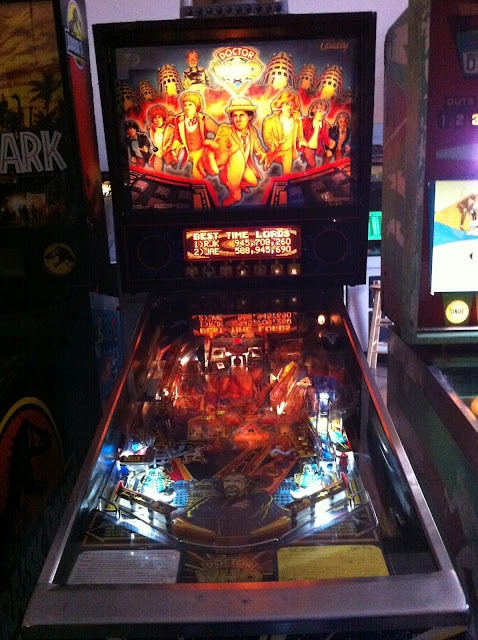 First, many of the machines have cards with the game's background and historical context on them, so you can actually learn a little bit about pinball history. And second, they're in working condition! How much better is it to spend all afternoon pumping quarters into the slots, rather than casino slot machines? Here are a few of the sci fi/comic book highlights of the collection. That ... that doesn't look much like the Shat to me. Why is he so blond? Doctor Who, people. Doctor Who! My personal favorite: The X-Files. 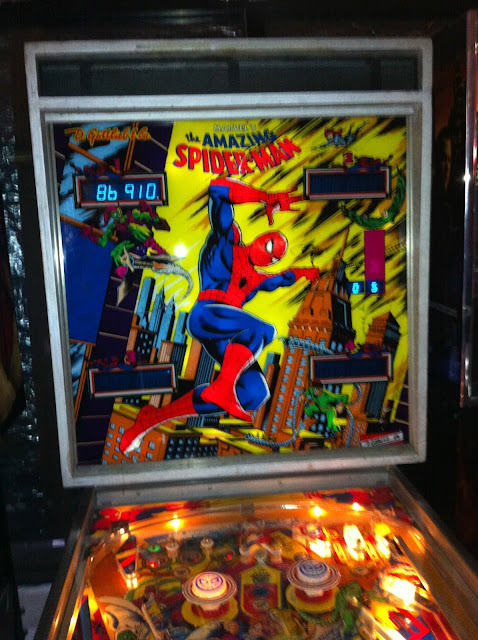 I got distracted while playing because I was trying to connect the art on the machine with the episodes they came from. The Pinball Hall of Fame is a decent hike from the Strip, so I'd recommend taking a bus or hailing a cab. You can find more info at the website. Oh, and not to brag, but the game I played on the Hall of Fame's Tetris console totally landed me on the top scores list. So if you check it out when you're in town, look to see if I'm still at No. 13, OK? 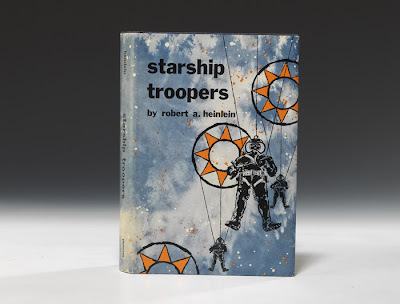 During my visit last week, I was most excited by first editions of L. M. Montgomery's Anne of Green Gables and Robert Heinlein's Starship Troopers. Book lovers will enjoy lingering over the gorgeous covers and yellowed pages. As always, you can find more info at the website. 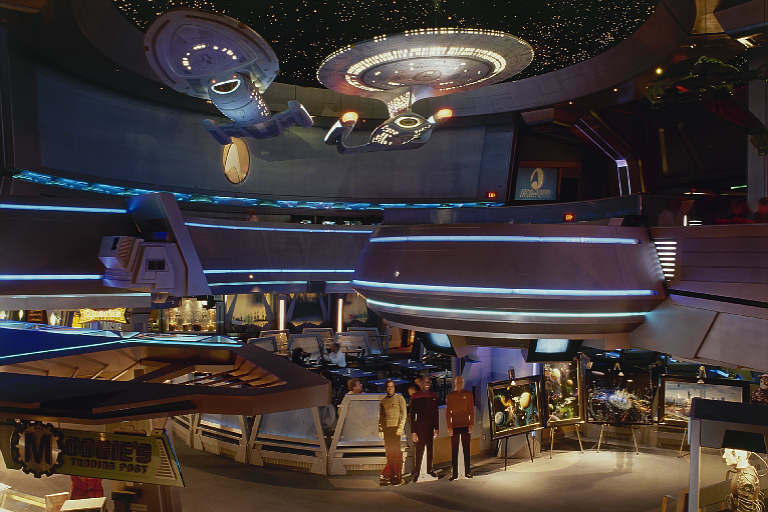 The Las Vegas Hotel used to be the home of the Star Trek Experience in Las Vegas, which was a nerdy dream come true. A few years ago, my husband and I dined in a restaurant there under the watchful eye of a threatening, unmoving member of the Borg. Best dining experience ever. However, the entire enterprise (heh!) closed a few years ago, and all that remains are the high-tech walls and balconies. Everything else has been filled in with standard-issue slot machines. It's a bit jarring to look up from the one-armed bandit to see sleek, space-age machinery overhead. Presumably, the LVH will remove even that vestige of its Star Trek past, so catch it while you still can. The Star Trek Experience as it was. The photos from today are just too depressing. You can click here for photos of it in happier times. So apparently there's a new trend in taking money from tourists, and that is to dress in elaborate costumes, hang out on busy walkways, and pose for pictures with passersby. We saw a life-sized Woody the Cowboy. We saw a life-sized Hello Kitty. 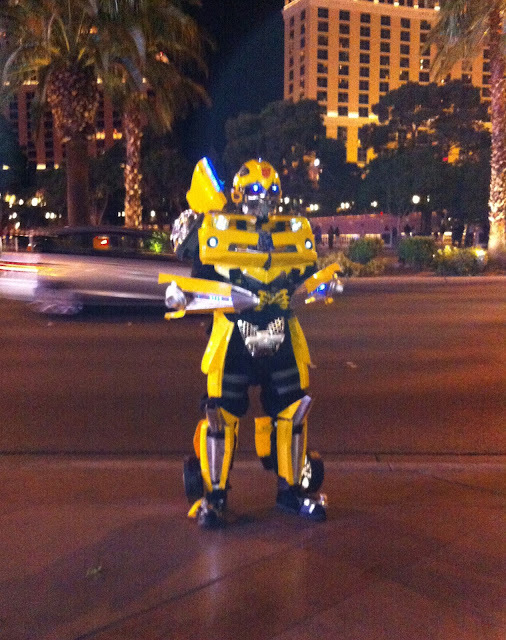 But it wasn't until we saw a life-sized Bumblebee that my husband had to stop and snap a picture. Come on. Tell me you're not a little creeped out by his LED eyes (and my iPhone camera does NOT do them justice). Here's Optimus Prime, too, for good measure. The costumes are impressive, as is the commitment to earning some cash by dressing as a large robot that can transform into a vehicle. 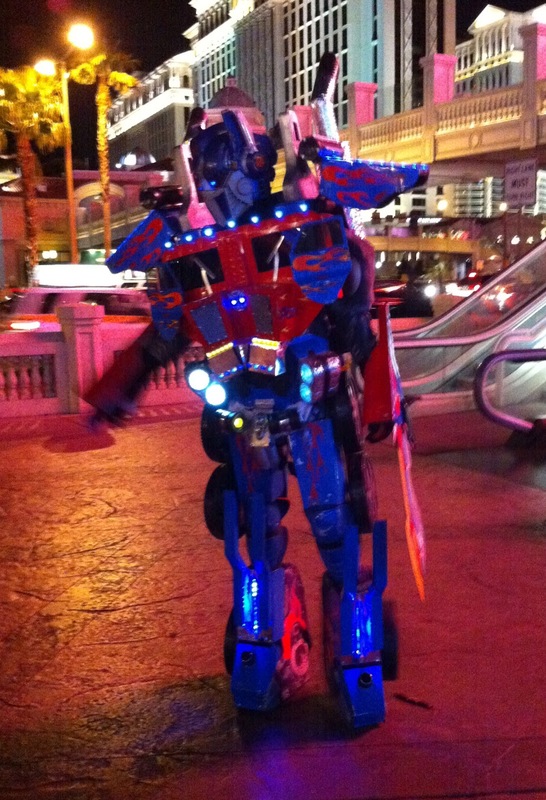 Sadly, there is no website that you can turn to for additional information on life-sized Transformer characters who startle you when you turn a corner and find yourself face-to-face with one. So what did I miss, Stellar Four readers? Are there other geek-tastic pursuits in Las Vegas that I didn't find on my recent trip? 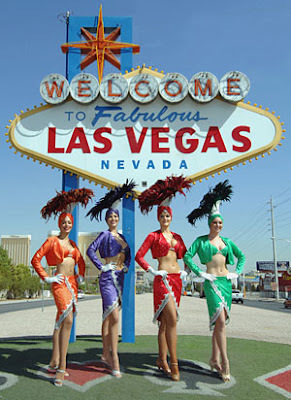 Ha, I was sure you were going to say that the geek's guide to Las Vegas is never to go there. But if I am ever forced there again, I'll know what to look up! PS I really think you should get rid of the annoying captcha. It almost always takes me at least two or three tries to leave a message and I'm willing to bet a decent spam filter would kill the spam without also killing the comments.